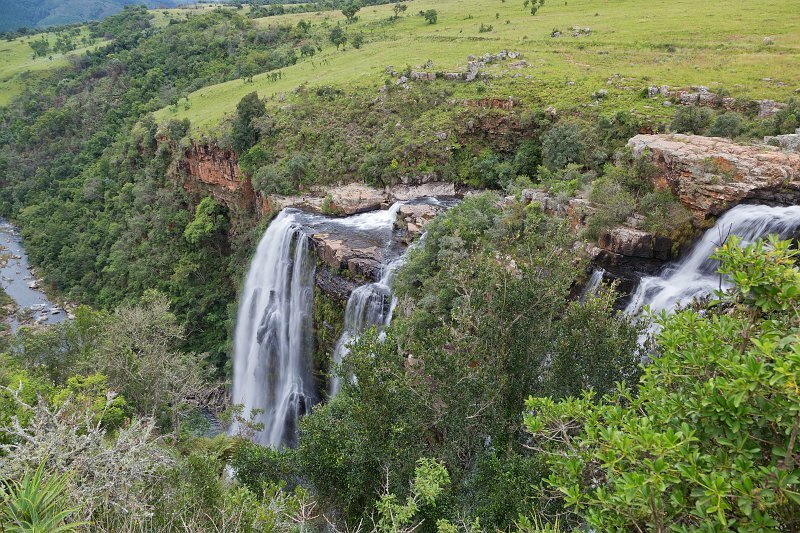 The Lisbon Falls are the highest waterfalls in Mpumalanga, South Africa. The waterfall is 94 m (308 ft) high and named for the capital city of Portugal. The waterfall lies on the Panorama Route, in the Lisbon Creek just north of Graskop, outside the Blyde River Canyon Nature Reserve.